Are you interested in buying a Backyard Discovery Tucson Cedar Wooden Swing Set in the coming days or weeks? If so, then make sure to check out our detailed review which will outline all the main points and features that you need to know plus all the pros and cons associated to this particular Swing set. We will also outline various images from different angles, some frequently asked questions that came up that will be of interest to you plus additional dimension information which you need to be aware of before you buy. Please note also that only guide prices can be submitted at the time of this review so please make sure to view the price checker provided below to ensure you have the most accurate price information, In addition, further price comparison options are also provided at the end of this page if you are interested in taking a look also. Q. 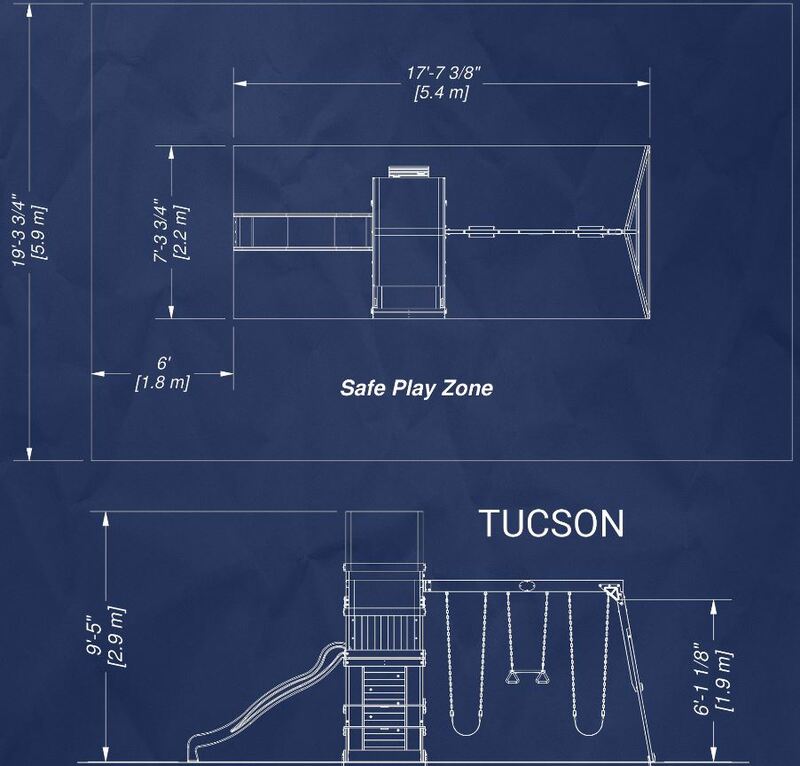 What are the safety zone dimensions for this swing set? Q. Do I need to buy additional fasteners or hardware? A. No, all the hardware and fasteners are included in the package. Q. What is the weight of the Tucson? Q. Who should I contact with any problems or issues if they arise? Q. How long does it take to assemble it? 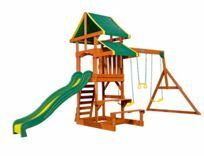 Upper deck dimension is 33" x 35"
Have you or your kids any personal experience with the Backyard Discovery Tucson Cedar Wood Swing Set? If so, then please share your thoughts and feedback with the wider community by leaving a comment in the comment section below – So that they can learn also! 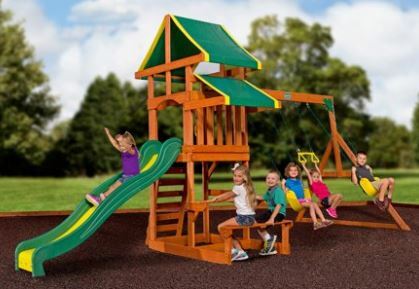 Posted in Swing Set Reviews and tagged Backyard Discovery Tucson, Backyard Discovery Tucson Cedar Swing set, Backyard Discovery Tucson Cedar Wooden Swing, Backyard Discovery Tucson Cedar Wooden Swing set, backyard discovery tucson cedar wooden swing set sale, Backyard Discovery Tucson Swing set. You will need to follow the instructions step by step to ensure there are no screws sticking out and a maintenance program is provided when delivered to ensure it will last a great number of years. Please keep this in a safe place as you will need to use it when the times comes – many thanks for your question. You are very welcome and best of luck with it in the years ahead. Thanks also for stopping by and leaving your thoughts and feedback.